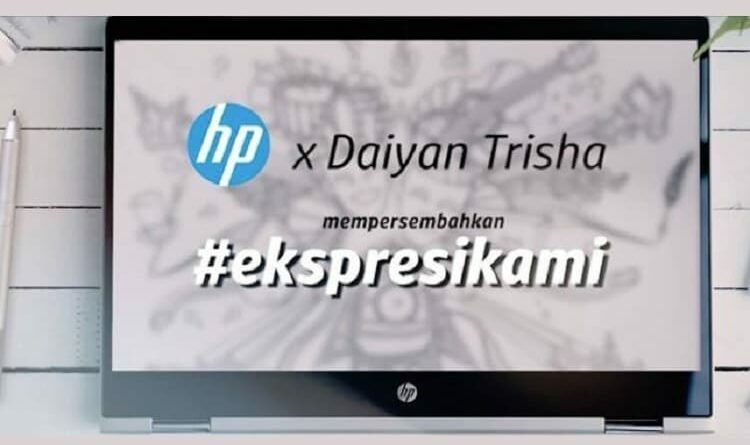 Join #ekspresikami and Win a HP Pavilion x360 laptop! HP Malaysia has joined hands with local singer-songwriters Daiyan Trisha and Nik Qistina to release an original song and music video highlighting self-expression amongst youth. Starting from 4 August – 25 November 2018, fans can stand a chance to be a part of the music video and win a brand-new HP Pavilion x360 laptop via contest on HP Malaysia’s Facebook Page. The campaign, #ekspresikami aims to drive attention and is a call to action to Malaysian youth to showcase their passion and ambition to chase their dreams. HP Malaysia and Daiyan Trisha and Nik Qistina to create a song that champions a movement of self-expression by embracing individuality and powering through hardship to redefine success. Starting from 4 August – 17 September 2018, ten (10) winners from the Ini Ekspresiku contest can be a part of Daiyan’s and Nik Qistina’s ‘Ini Ekspresiku’ music video and walk away with a HP E-vouchers worth RM200 each. Steps 1: Record yourself singing the chorus to the song or a short video of you dancing to the song ‘Ini Ekspresiku’. Steps 2: Upload your video on your public social account with the hashtags #HPMY #ekspresikami #HPPavilion to join the campaign. Tag @hp_asia on Instagram or @HP_Malaysia on Facebook to participate in the campaign. Starting from 3 – 25 November 2018, HP Malaysia fans can also stand a chance to win a brand new HP Pavilion x360 laptop and HP accessories. Step 1: Send us a flatlay image with items that expresses yourself and tell us what #ekspresikami means to you. Step 2: Upload onto your public social account with the hashtags #hpmy #ekspresikami #HPPavilion to join the contest. Tag @hp_asia on Instagram or @HP_Malaysia on Facebook to participate in the campaign. Step 3: Submissions with the most creative flatlay and best representation of what #ekspresikami means, will win 1 (one) unit of HP Pavilion x360 and HP accessories! The HP Pavilion x360 includes refined materials and finishes, thin bezels, and stepped-up performance options that enhance the customer experience. HP Pavilion x360 14 convertibles offer premium features and design elements which empower users to work, write, watch, and play. The HP Pavilion x360 is currently retailing from RM 2,358. Click here to shop now.